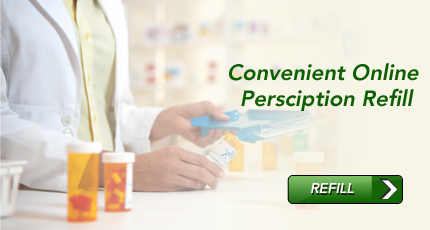 Live Oak Pharmacy offers convenient ways to refill your prescriptions. Click below to utilize our online refill service or just give us a call. We'll have your prescription ready for pick-up at your earliest convenience. At our pharmacy, we think of our patients as part of our family, not just as a prescription to be filled. We invite you to come meet us and become part of our family. If you have a health care problem, let us help you solve it! Our Pharmacist are available to answer any questions or concerns you may have. 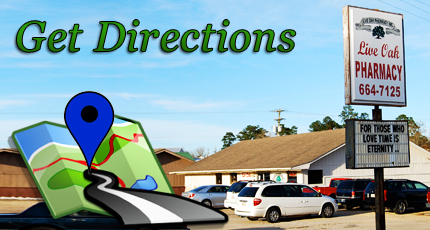 Live Oak Pharmacy is a locally owned and operated independent pharmacy that has been serving Watson, Louisiana and the surrounding areas since 1986. Our goal is to be more like the old time drug store where the pharmacist and staff are available to personally assist you with your needs. While times have changed the pharmacy’s focus on the well-being of our customers has not! 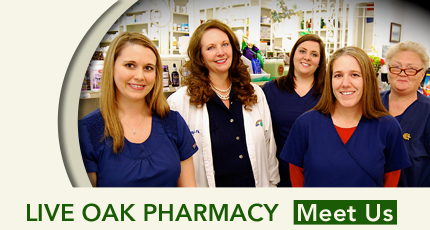 At Live Oak Pharmacy we are dedicated to a tradition of providing the best possible health care to our patients. We recognize that customer service is almost lost in the retail pharmacy industry; but at Live Oak Pharmacy, customer service is one of our top priorities. We are dedicated to ensuring that you, our patient, receives the optimal medication therapy. Our friendly knowledgeable staff is always ready and eager to serve you! Your time is valuable, and we understand that at Live Oak Pharmacy. We work hard to make sure your prescription is ready in the shortest time possible and always offer our services with a smile. To reduce your wait time, try our online prescription refills or have your doctor’s office fax your prescription or prescription refill to us. We will do our best to get your prescription filled as quickly as possible. At Live Oak Pharmacy we strive to provide the professional, personalized service which you have come to expect. Our goal is to meet the needs of our clients as efficiently as possible. 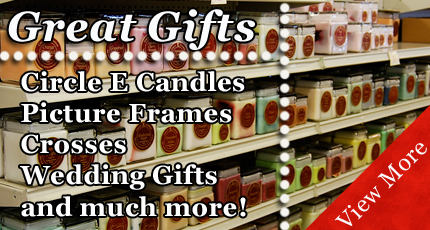 Thank You for choosing Live Oak Pharmacy!